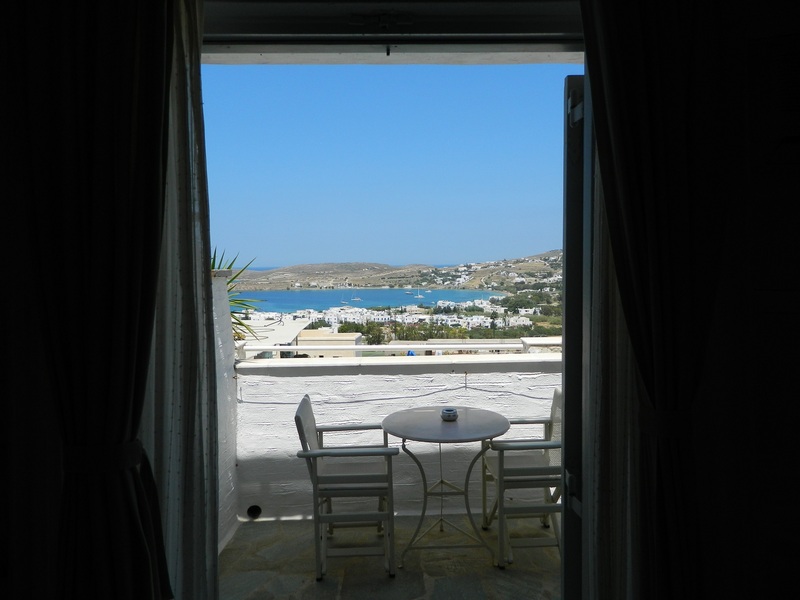 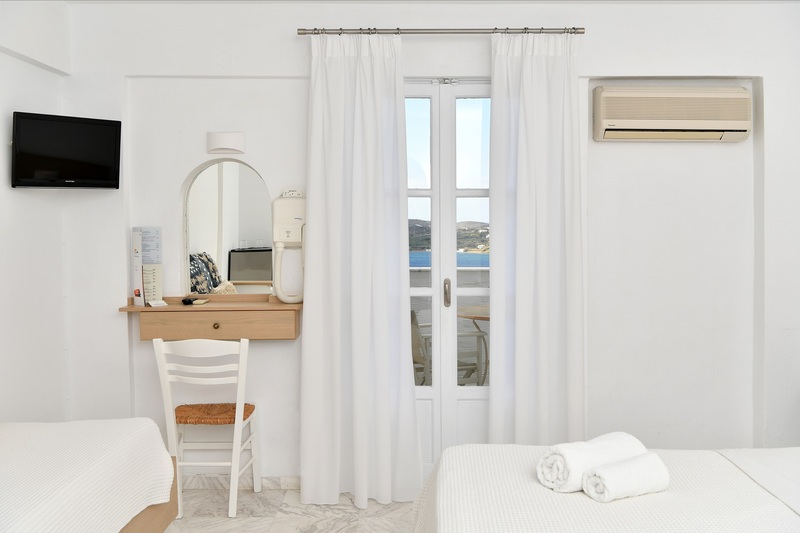 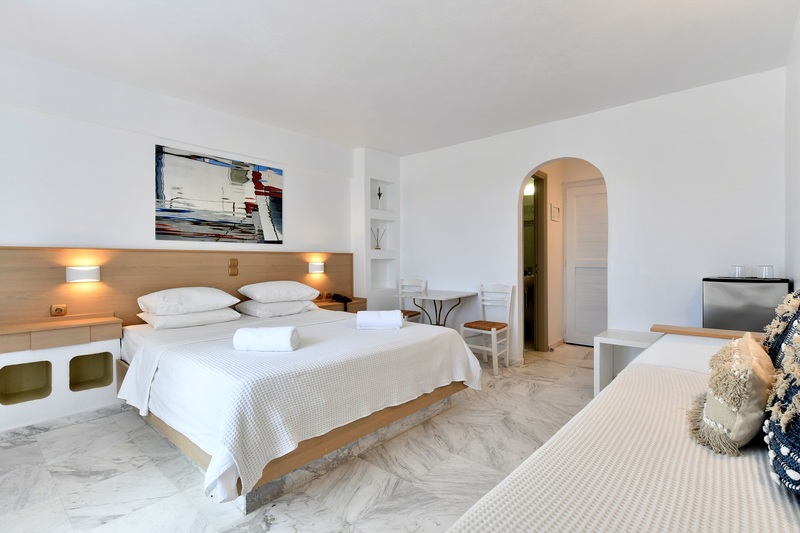 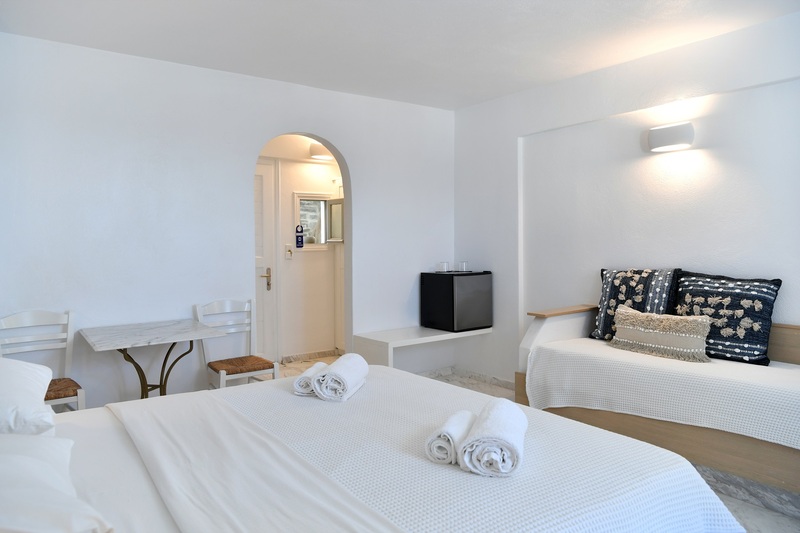 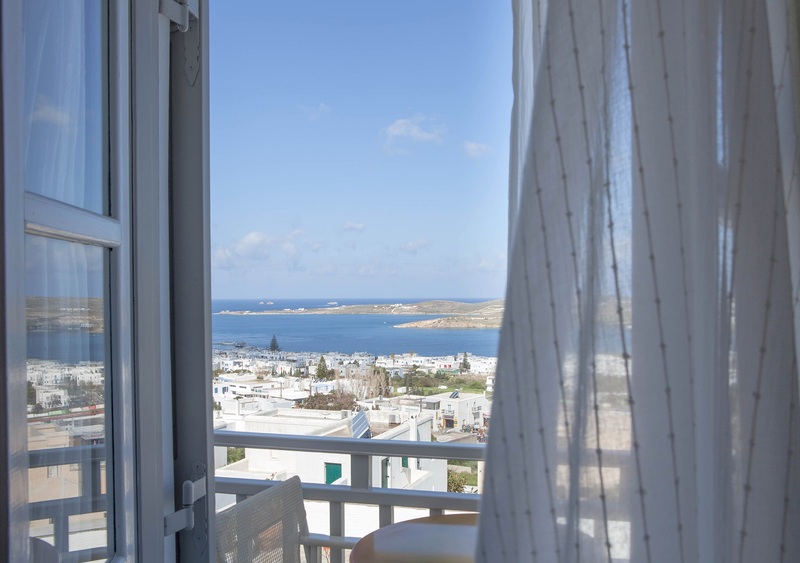 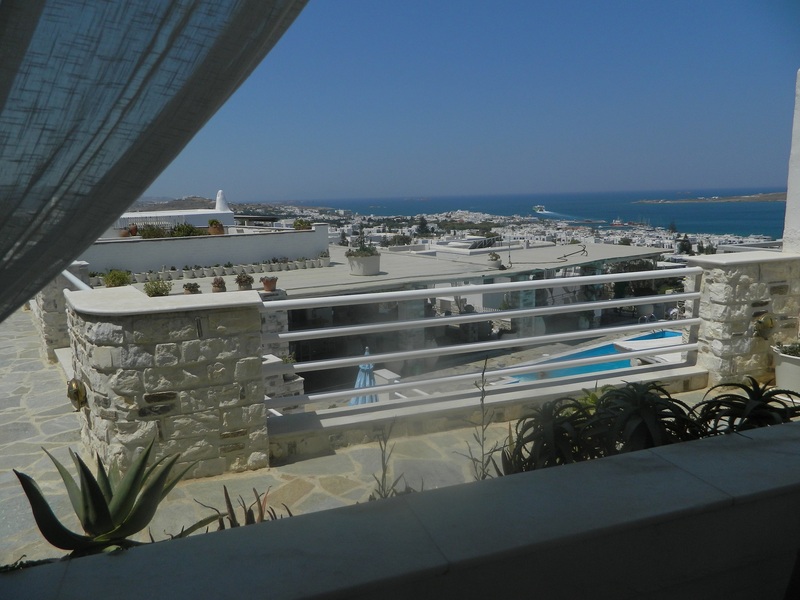 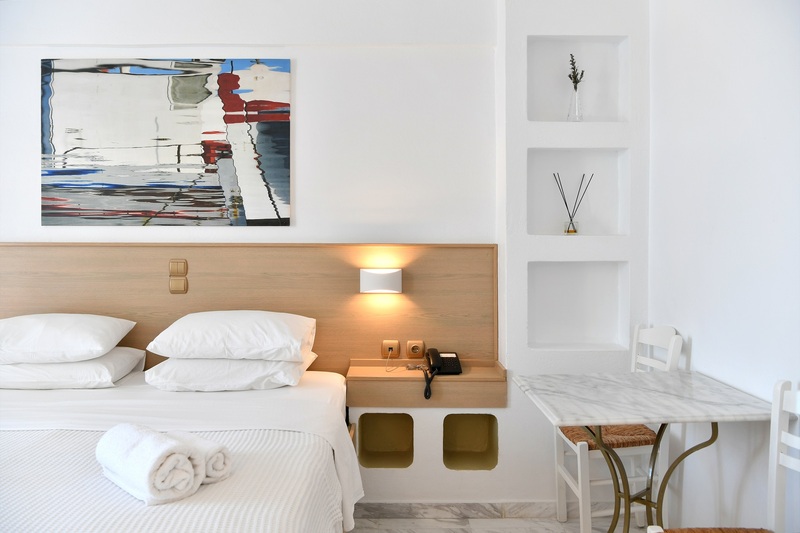 Fitted with anatomic mattresses, this air-conditioned room is located on the 2nd floor and opens to a private balcony overlooking the Aegean Sea. 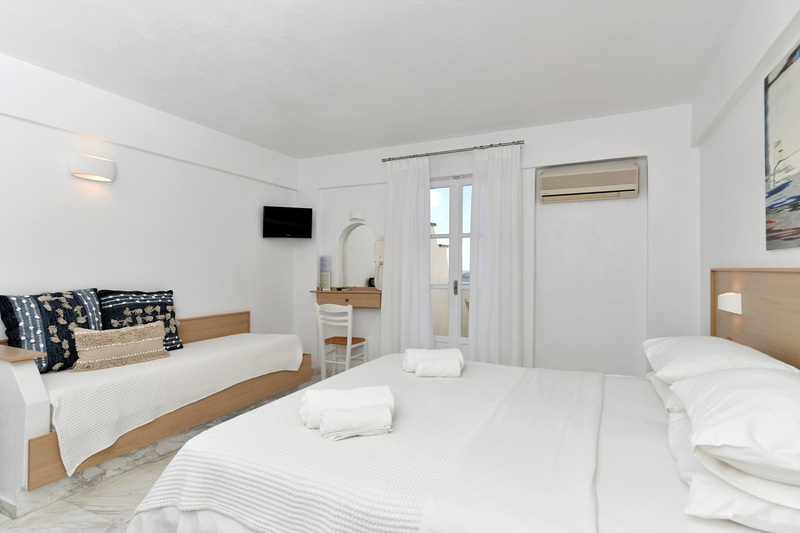 A TV and a fridge are included. 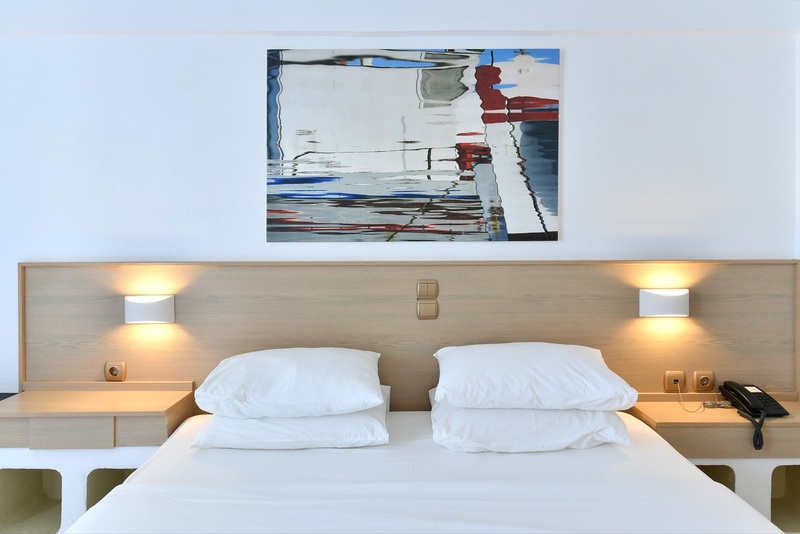 It features one double bed and one single bed.